Fifteen years ago, a campaigning politician promised the people of Alendu clean water. They dug trenches and laid pipes, but they never saw clean water. After several such experiences, it’s no wonder that our our neighbors met our clean water project with suspicion and resistance. But by following through on our word, and by God’s grace, hearts and minds are being opened to hope! 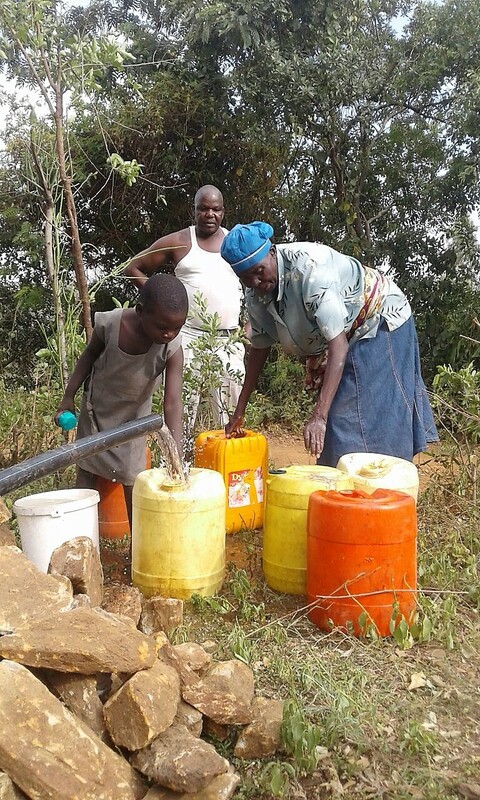 In the fall of 2017, our borehole struck clean water. Now here in the beginning of 2018, we’ve finished the trenches that will carry the water to five different locations around the community and laid pipes in them. We tested our water flow through the pipes made that test-run water available to all community members for free, so they could experience it for themselves. Some of the biggest doubters of the project came running and couldn’t believe their eyes. Clean water right next to their houses has been a pipe dream for them, something that could never happen. Now the same people who had been resistant are offering their help and are actively supporting the project! Praise God! The next step is building the treatment house so that we can begin to actively pump water each day and make it clean. Work on the water treatment house is underway. We hope for it to be done by the end of February, but snags tend to come up. Keep our progress in your prayers!